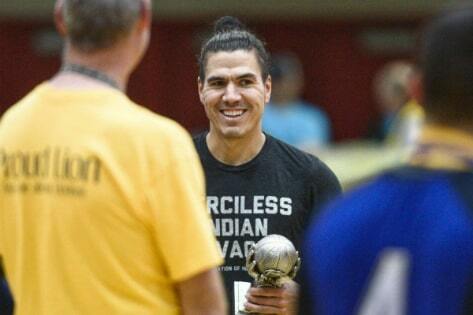 For the first time in 46 years, Skagway has a Gold Medal title. 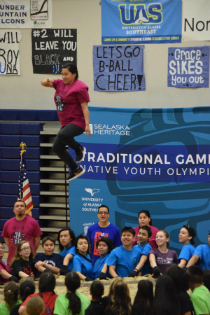 Traditional Games official and former World Eskimo-Indian Olympics blanket toss winner Marjorie Tahbone shows off her skills to kick off the 2019 Traditional Games. 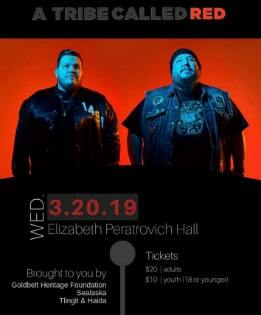 Tickets on sale at both sacred grounds located at the Elizabeth Peratrovich Hall and Sealaska Plaza. 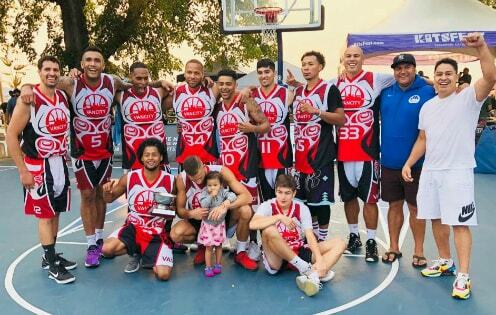 20th Anniversary March Madness Champs!!! 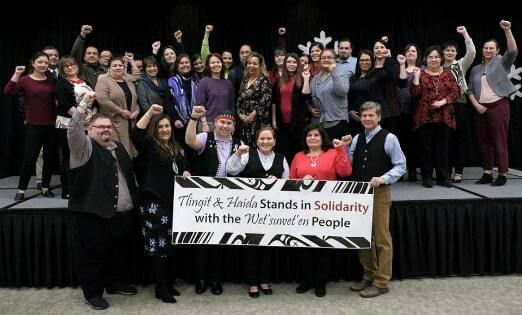 Tlingit & Haida is proud to join Sealaska and other Native organizations in supporting a FREE performance by comedian Tonia Jo Hall at the Elizabeth Peratrovich Hall on Monday, March 18th! The event will begin at 6:30 PM and is open to the public. 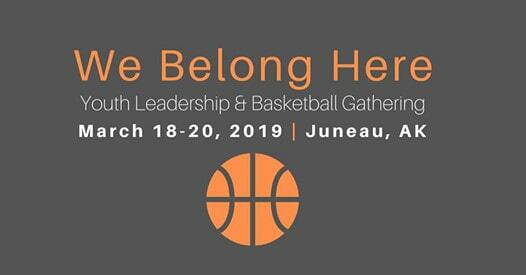 This event will be a part of a larger gathering called, “We Belong Here”, a youth leadership and basketball camp. For more information, please visit:https://bit.ly/2N1geap. and ecologically critical to the people of Southeast Alaska. Protect the Herring! Donate to Sitka Tribe of Alaska link in FB video discription. 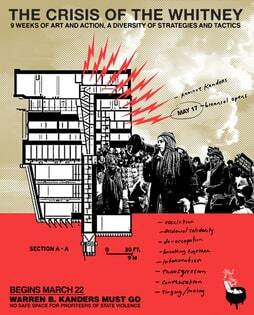 "Nine weeks of Art and Action"
Decolonize This Place (Official Website) "There is no safe space for profiteers of all state violence." 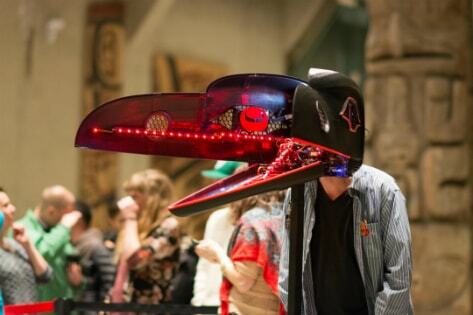 In a public program at the Met on October 8, 2018, Tlingit artist Jackson Polys translated some of these claims. 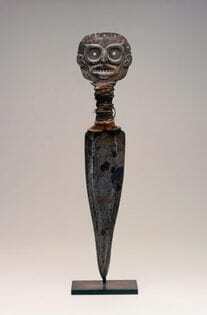 While discussing an eighteenth-century Tlingit dagger with a shamanic visage on its pommel, he invoked its status as the at.oow, or hereditary crest, of his father’s Lukaax.ádi clan. 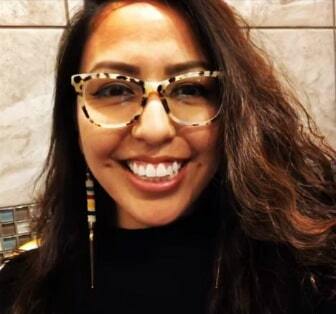 “This knife is a marker of territory, a red flag,” Polys said, noting that the proprietary story of the knife represents a territorial relationship. 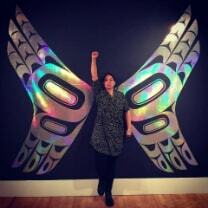 Between the knife and contemporary work such as Yuxweluptun’s painting of the Northwest Coast landscape there exists a two-century continuum of sovereign land claims thrashing against colonial boundaries. and Michael Lynne’s Unique Features and School of Humans. 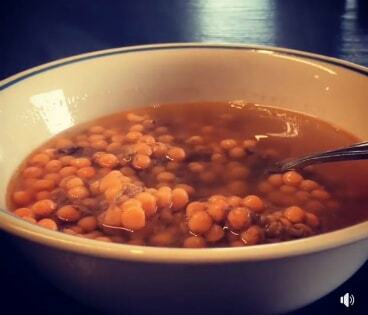 technology that combines state-of-the-art CGI with live-action performance. in a way that conveys the human emotion and drama of the serious subject matter. HUGE shout out to all who did their part to give The Last Walk her wings. 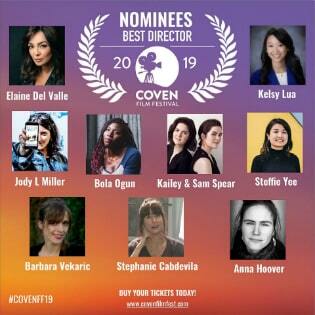 Voices in this episode include Frank Katasse, James Konicek, Erika Stone and Irene Bedard. 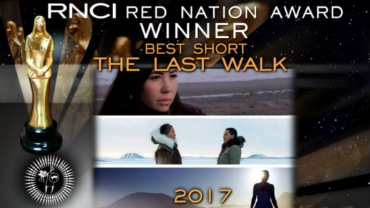 Irene will soon star in a world-premiere play in Alaska. Perseverance Theatre’s production of "Whale Song"
runs through the month of February in Juneau, and then in Anchorage, from March 8th through the 17th. Kids, you may know Irene as the voice of the title character in the Disney animated film, Pocahontas. and the need for us to turn our attention toward the natural world. The North has a musical sound all its own and it sounds better on vinyl. 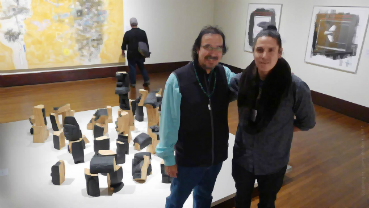 and Nicholas Galanin and Zak Wass of Indian Agent. Limited edition vinyl records available for purchase. Admission: $18 or $45 with record. 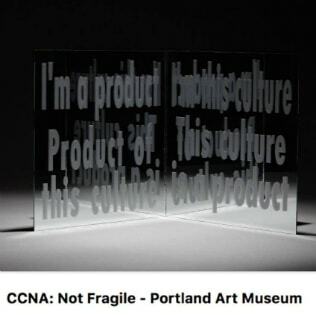 Get tickets in advance at anchoragemuseum.org/unboundvinyl. "Recognize and respect! Honor the Indigenous Peoples of your home and everywhere else. and show respect and gratitude to the first people to call it home. 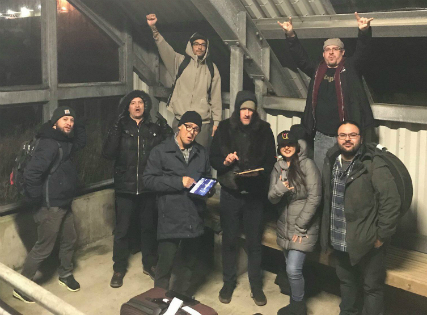 "The January 2019 Tour is officially completed! Anchorage, Sitka, Ketchikan, Wrangell, Petersburg, Cordova, Seattle, Juneau, Ketchikan, and Seattle. 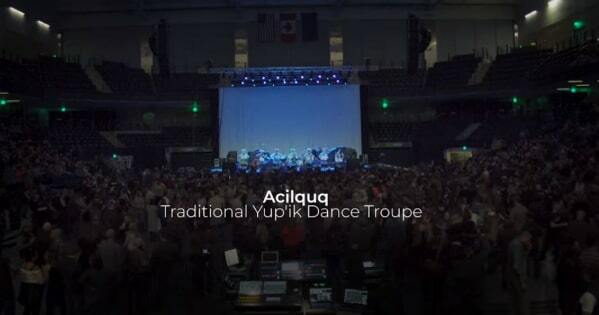 "We traveled to Anchorage and Juneau to bring funketized Alaskan native music! 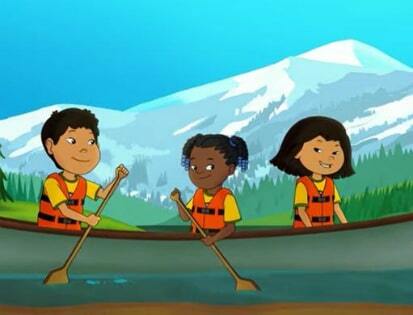 Loosely translates to (send down the canoe from up high and take me on a journey!) 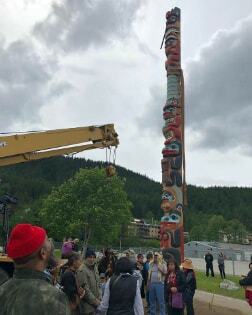 in Haida! Tim Kennedy, Jason Cressy, Danny Stern. and legendary innovator Bernie Worrell (previously of Parliament-Funkadelic). 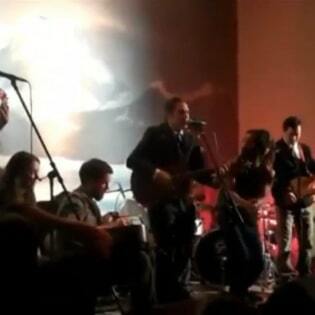 performed with an experimental approach with rock/funk aspects. 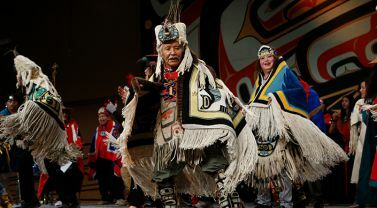 The band also performs in traditional regalia and Northwest coast masks. 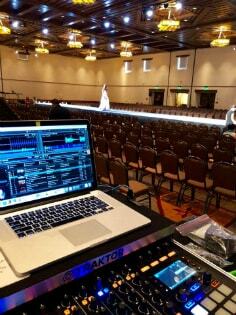 DJ Celeste Worl shared an event on FB. 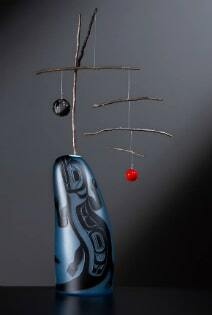 Evelyn Vanderhoop Haida Weaver shared a post on FB. 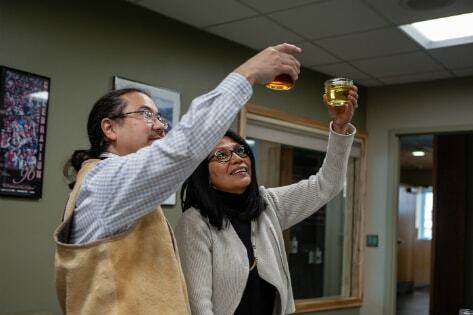 Larry McNeil's Exhibit "MCNEIL, REAL INDIANS (and CURTIS)" opens at Alaska State Musuem in Juneau on Nov 2, 2018.
at the Museum of Glass. Photos James Pepper Henry. in the Valley Regional Transit Main Street Station. 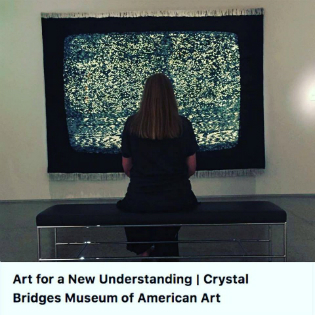 Submitted by Boise Arts & History Department. 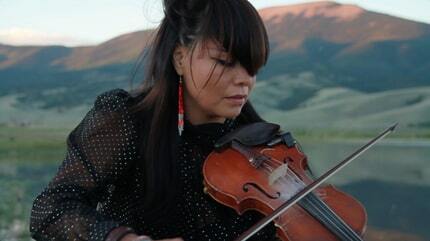 On Facebook Stikine Cousin and Musician Jasmine Ishōkma Netsena Brown shared a post. 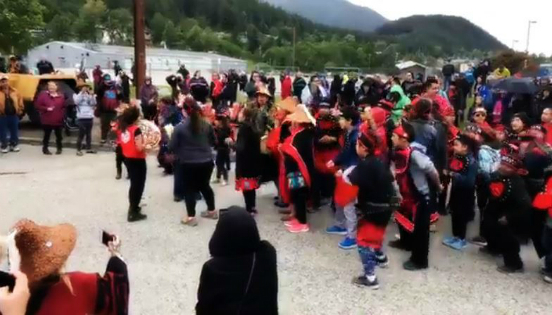 "Translating Havana in Inuktitut original song by Camila Cabello"
Liink to Facebook Video "Juneau youth group performing!" This Celebration we filmed 5 artists at Beast Flow Studio for our Red Carpet Concert series with Trickster Company & Kindred Post. 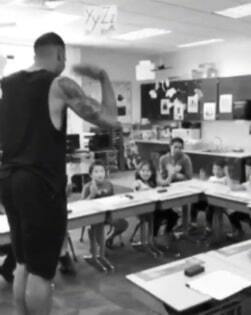 "I’ve found out I enjoy teaching Xaat Kil (Haida) more than I enjoy teaching basketball. Im beyond motivated to continue to grow and learn my ancestors language. Actor Martin Sensmeier update - America Divided S2: Martin Sensmeier Talks To Journalist Jacqueline Keeler. 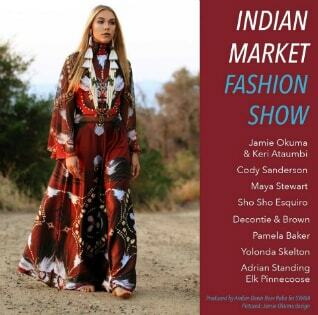 in Santa Fe to coincide with this years SWAIA - Santa Fe Indian Market! 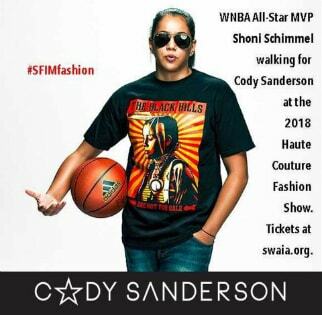 SWAIA - Santa Fe Indian Market was live. 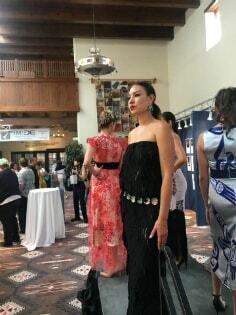 Link to Fackbook video Haute Couture Fashion Show! 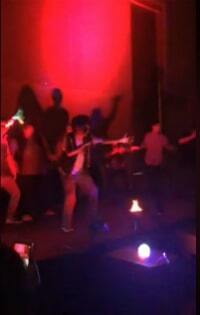 which also has appearance of some of our favorite artists and friends dancing. 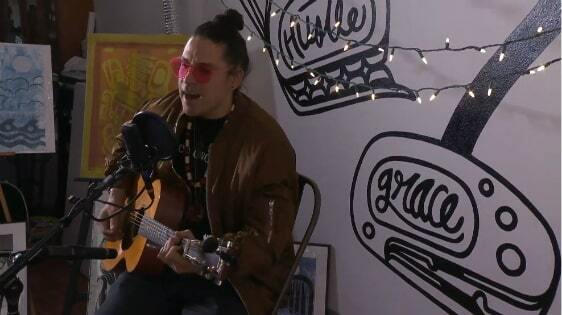 Ryan Redcorn is the Hipster dancer in the video. Yéil Ya-Tseen shared a post. 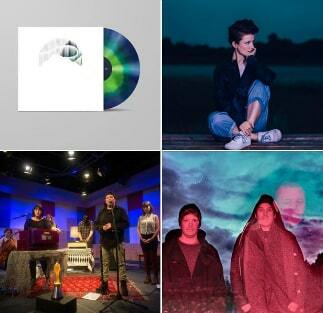 Mother Indian Agent feat Tanya Tagaq featured on Wo'Pop global artist playlist for Tuesday, 7th of August. — with Jonathan Poneman and Darek Mazzone." Yéil Ya-Tseen shared a photo. 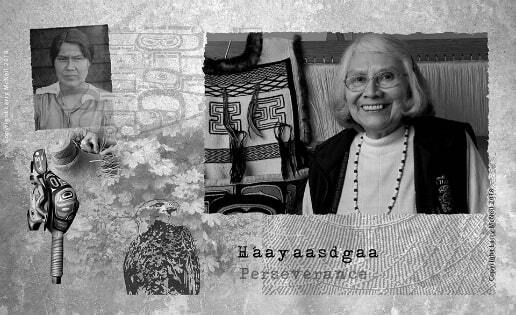 by Tlingit & Haida’s Tribal Family & Youth Services department through its Native Connections program. 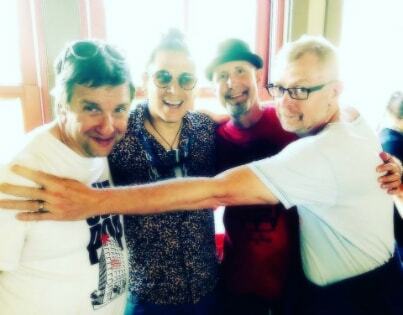 including Jim Pepper, world reknowned Native Sax player, and Kenny Day, keyboards. 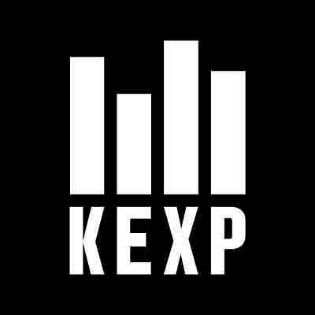 Lolly Vegas, songwriter for "Redbone"
Khu.éex’ is the brain child of Seattle-based artist Preston Singletary and legendary innovator Bernie Worrell. 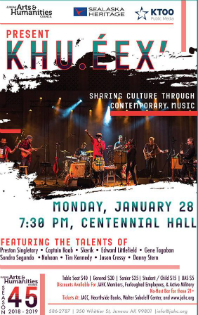 Khu.éex’ translates to “Potlatch” in Tlingit language and fuses Tlingit culture and contemporary funk. Galactic drummer Stanton Moore and saxophone god Skerik, among others. 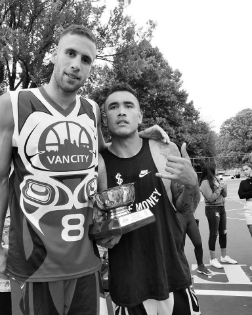 "Came through and snagged a Kitsfest championship with an indigenous squad! 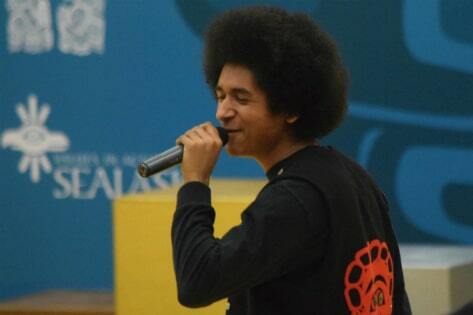 Much love to everyone who supported us this weekend! — with Preston Davis." 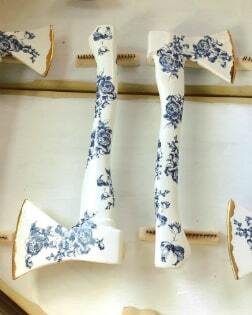 luckily our side parts were parlor worthy! — in Vancouver, British Columbia. 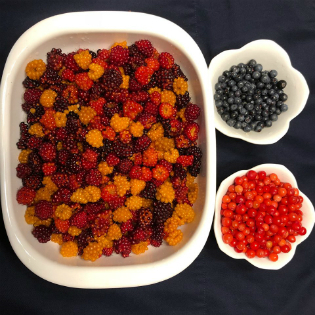 @demi_sosa is 7'3" and Damen Bell-Holter is 6'9"
Ma̱g̱oox (Salmonberries), smmaay (blueberries), and wüłeexs (huckleberries). 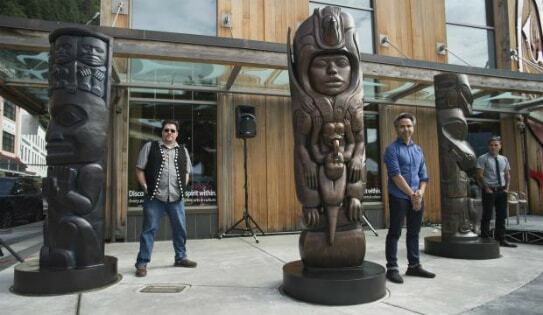 Jurors were Tlingit artist Jackson Polys and art historian Steve Henrikson. 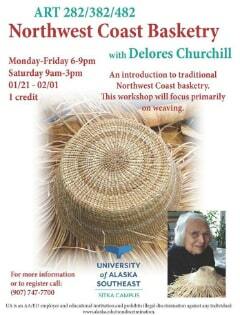 Master Haida weaver Delores Churchill served as a juror master artist on sewing and weaving submissions. 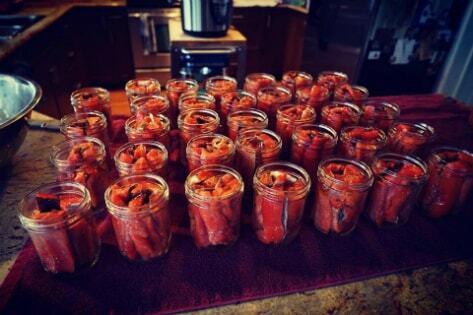 Don Bolton of Metlakatla took 1st place for best seal oil with crackling and 1st place for best seaweed. 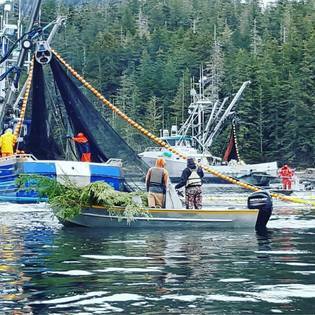 and 2nd and 3rd place for seaweed went to Linda Rae Shearer of Metlakatla and Johnny Jack, Jr., of Angoon. 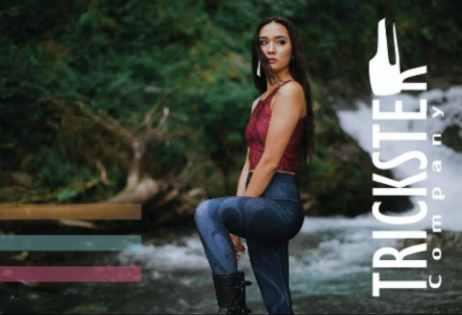 Trickster Company - An innovative indigenous design company out of Juneau, Alaska. 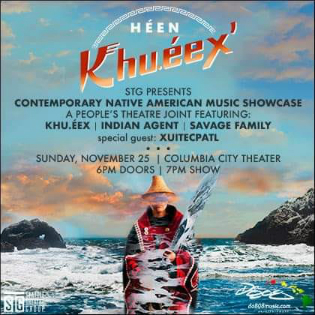 Featuring Alaska Native design, artwork, and jewelry. 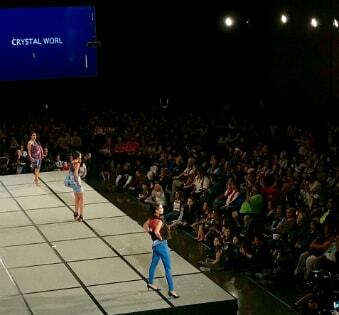 Celebration SHI Fashion Photo from Sealaska Heritage. 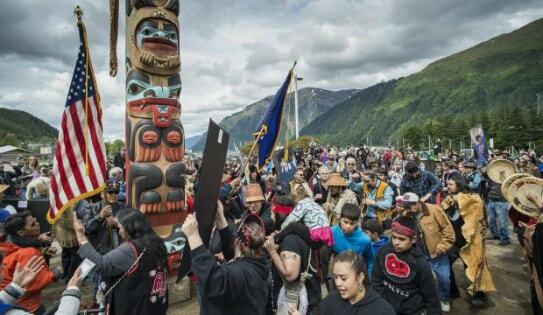 9 Canoes with the One People Canoe Society traveled from Ketchikan, Sitka, Kake, Angoon, Hoonah, Yakutat and Canada on 'Journey to Celebration 2018 arriving June 5 in Juneau Alaska. (Photo Klas Stolpe). 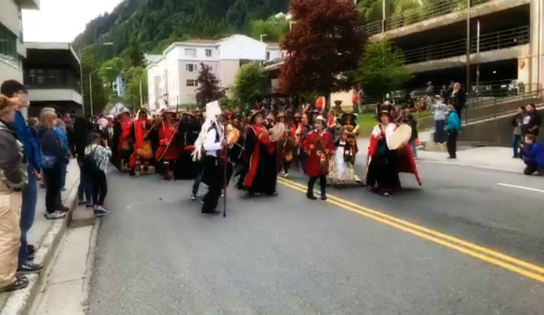 Link to Benjamin Danny Coronell's Facebook Video Heading down the Taku to Celebration 2018. 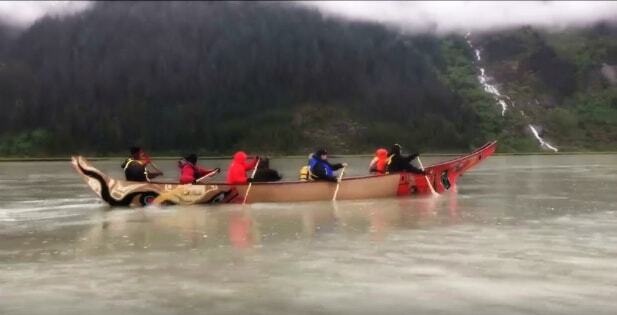 Link to One People Canoe Society Facebook Video "Yakutat canoe team going around point retreat" ‎on Journey to Celebration 2018. Come through, it's gonna be one for the books. 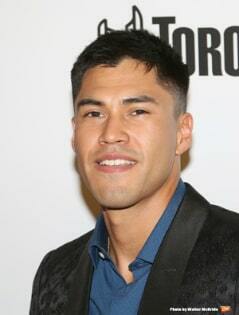 Martin Sensmeier to star as Jim Thorpe. Martin will also executive produce the film. 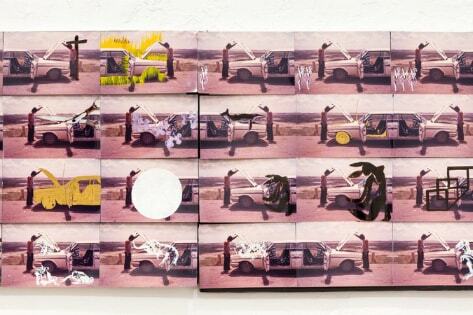 that she curated in collaboration with Los Angeles artist Ed Ruscha. each with works in the Unsettled exhibition. for the second year in a row, beating Klukwan 83-66.
the final seconds of the #GoldMedal2018 C Bracket championship. 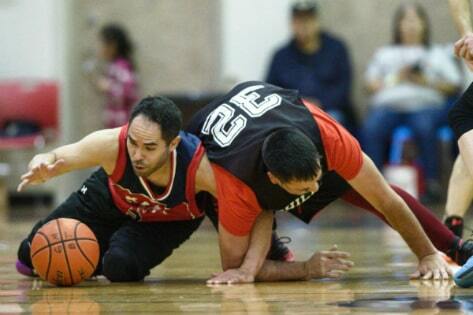 It was a huge sigh of relief for Klukwan — they were leading 72-70 at that point. Klukwan is your 2018 champion! Link to Juneau Empire Sports Video on Twitter: Incredible finish to an intense game. 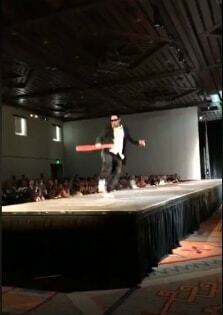 Link to FB video Heather Hintze KTVA added a new video: Kyle Worl AWG 2018 Knuckle Hop. Kyle Worl reaches 167 feet winning the gold medal for knuckle hop at the 2018 Arctic Winter Games March 23, 2018. Kyle Worl also won the gold at the High Kick and kneel jump at the 2018 Arctic Winter Games.
. Twitter Link to Alex McCathy Video of last round of Al “Mean Machine” Valentine at 58 years old, just won by unanimous decision against James “The Beast” on Saint Paddys Day. 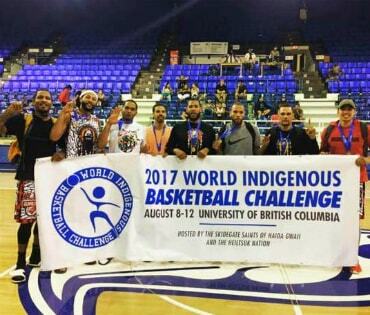 Lords of the Plains winners of the 2017 World Indigenous Basketball Challenge are ready to defend their title in 2018. 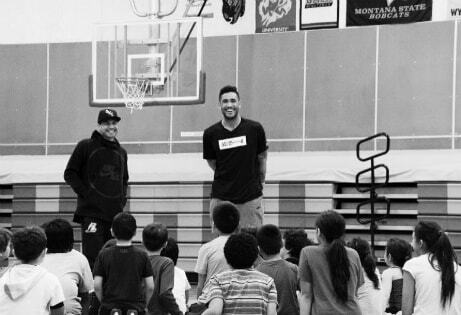 Martin Sensmeier (Actor) with Damen Bell-Holter at the Youth Basketball Camp. 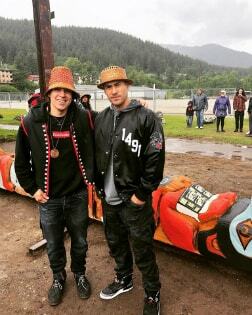 "I asked my brotha Martin Sensmeier if he could come by and say a few words to my campers and of course he came through. 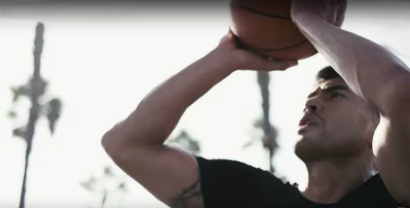 He has reached success on some of the highest levels and he's remained true to his roots. We're nothing but village boys. Much love, bro. — in Juneau, Alaska." So much love and appreciate for the community of Kake and their children. I am excited to have an opportunity to mentor these kids for years to come. I can’t really express how much this means to me. 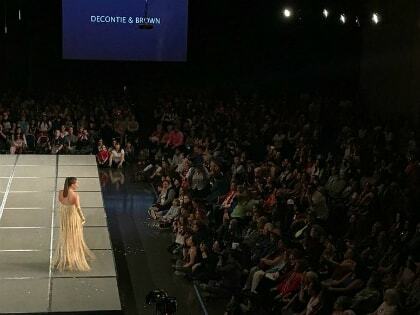 . .
Sealaska Heritage will sponsor a Native high-fashion show at Celebration 2018 (Facebook link), a biennial dance-and-culture festival scheduled June 6-9 in Juneau. Artists in the earlier show included Kay WalkingStick, who has three paintings here that think about landscape through an indigenous lens, and G. Peter Jemison, whose drawings here on brown paper bags include wry and blunt titles like “Party Bag” (1982) and “Hunger on Reservations While Children in Africa Starve” (1981). 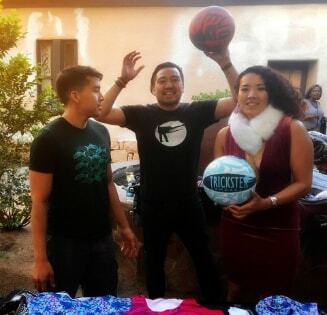 CCTHITA donoted 200 black, red and blue Trickster Company basketballs for the event. 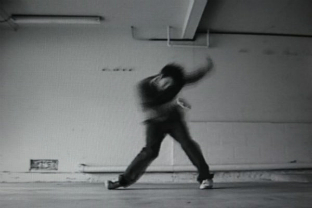 Performances by Jim Fletcher and Kite, and videos by Diane Burns; W.K.L. 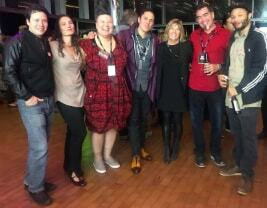 Dickson/Thomas Edison; Guillermo G ómez-Peña; Guillermo Gómez-Peña and Gustavo Vázquez; Sky Hopinka; Tonia Jo Hall; Adam Khalil, Zack Khalil, Jackson Polys; Kent Monkman; The New York Times, Shelley Niro; and Chris Spotted Eagle.with Adam Khalil, Zack Khalil, Jackson Polys, Jim Fletcher, Kite. Jackson Polys is a visual artist whose practice reflects an inquiry into the limits and viability of desires for Indigenous growth. 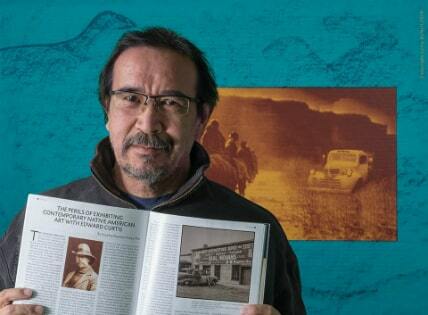 He works in Alaska and New York, and has had solo exhibitions at the Alaska State Museum and the Anchorage Museum. He earned an MFA in Visual Arts from Columbia University in 2015 and is the recipient of a 2017 NACF Mentor Artist Fellowship. 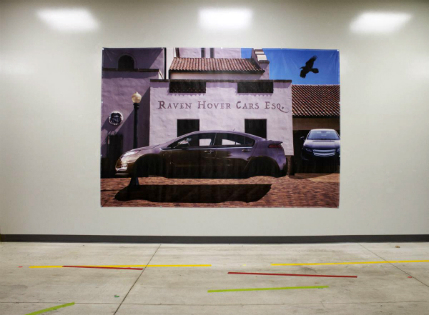 Formline wing installation - part of Alison Marks's first solo exhibition "One Gray Hair" on view Nov 11, 2017 to Feb 4, 2018 at the Frye Art Museum in Seattle. 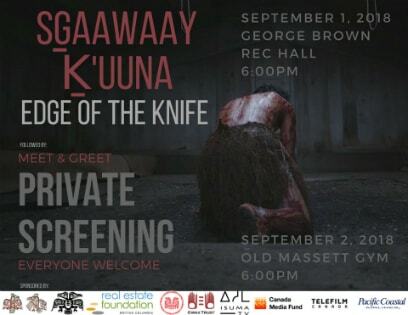 Organized by the Frye, curated by Dr. Miranda Belarde-Lewis (Zuni/Tlingit). Photo Copyright Larry McNeil 2017 — with Yéil Ya-Tseen. Native Art Now! 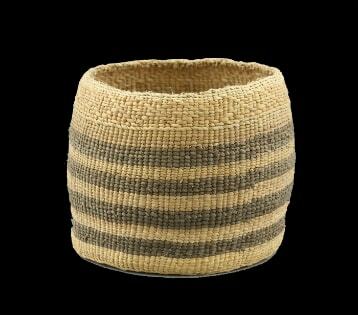 Nov 11, 2017 to Jan. 28, 2018 at the Eiteljorg Museum of American Indians and Western Art. The Eiteljorg Museum is excited to present Native Art Now!, which includes a traveling retrospective exhibition reviewing two decades of the Eiteljorg Contemporary Art Fellowship program. 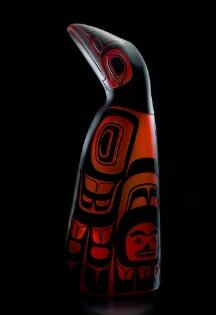 Thirty-nine of the most compelling pieces of contemporary art acquired by the museum are on display in Native Art Now! 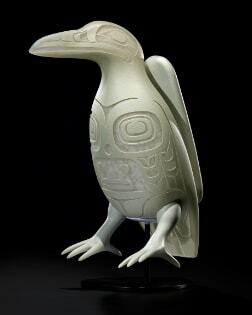 Thirty-nine of the most compelling pieces of contemporary art acquired by the museum are on display in Native Art Now! "Transformer: Native Art in Light and Sound" presents the work of ten artists who use light, digital projection, and experimental media to reflect on their place in and between traditional and dominant cultures. 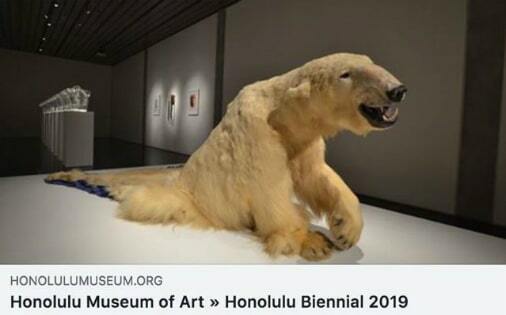 Nov. 10, through Jan. 6, 2019, at the Smithsonian’s National Museum of the American Indian, George Gustav Heye Center in New York City. 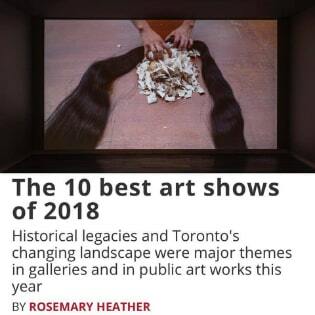 Artists featured in Transformer include Jordan Bennett (Mi'kmaq), Raven Chacon (Diné), Jon Corbett (Métis), Marcella Ernest (Ojibwe), Stephen Foster (Haida), Nicholas Galanin (Tlingit), Julie Nagam (Anishnawbe/Métis), Marianne Nicolson (Kwakwa̱ka̱’wakw), Keli Mashburn (Osage), and Kevin McKenzie (Cree/Métis). 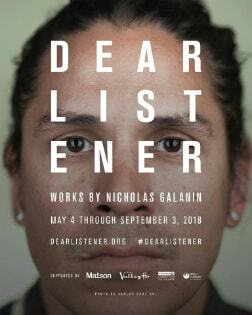 The project is curated by Kathleen Ash-Milby (Diné), National Museum of the American Indian, and David Garneau (Métis). in Anchorage. About 500 athletes from over 100 communities attend the event. 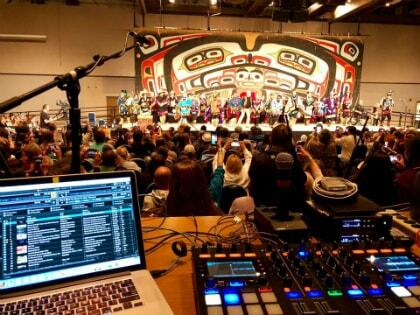 Sealaska Heritage is accepting applications from dance groups that want to perform at Celebration 2018, scheduled June 6-9 in Juneau, Alaska. The Application deadline is March 30, 2018. 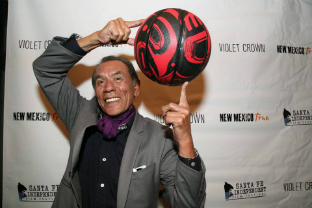 It just wasn't any basketball with Wes Studi on the red carpet! 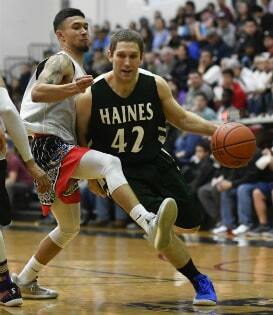 Sports writer and photographer Klas Stolpe‘s coverage of the Juneau Lions Club’s 71st Gold Medal Basketball Tournament. Revisiting Tlingit Veteran Bailey Johnson VS "The Red Baron" Tucker in Juneau Alaska in 2009. 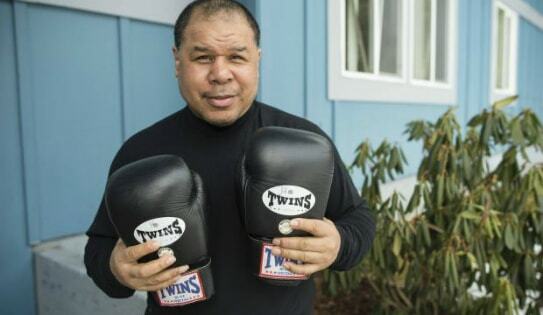 Reigning champ falls in Friday night fights Angoon's Bailey Johnson surprises Juneau's "Red Baron" Tucker By Courtney Nelson | For the Juneau Empire. 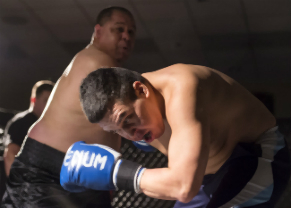 Twenty-two-year-old Bailey Johnson, of Angoon, shocked the packed crowd at Marlintini's Lounge Friday for the monthly Roughhouse fights. Johnson picked up an electrifying victory over 2008 Roughhouse Southeast Showdown Champion 19-year-old Aaron "The Red Baron" Tucker, of Juneau. Bailey Johnson served a 15 month deployment tour in Kuwait and Iraq with the Alaska Army National Guard. The Alaska Army National Guard also provided "around the clock" highway security for convoys driving in southern Iraq. 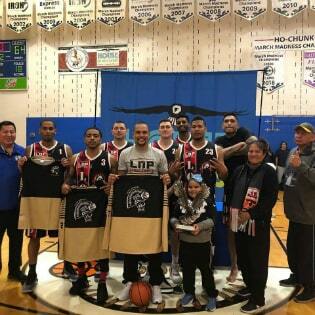 Bailey is also a Gold Medal Basketball MVP in 2007 leading Angoon to the Intermediate Bracket Championship while he was on leave from the middle east. 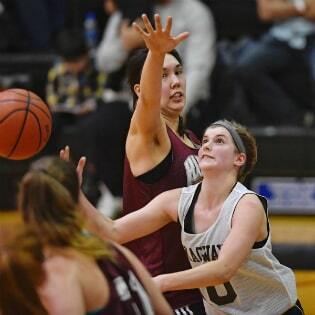 Bailey Johnson is one of the Gold Medal Basketball stars in the B Bracket playing for Angoon today.